I am all about a good deal and trying new things. I just hate that I'm usually disappointed when I try new things mainly because I am not easily impressed. 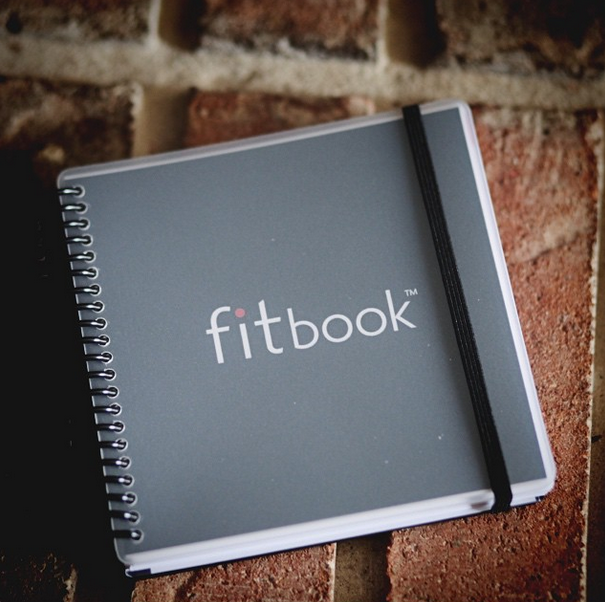 So I took a chance and bought this fitbook from Amazon just last week and I have already found my way to making it work for me. Ok, so this little guy is supposed to be a three month fitness journal that includes pages on exercise, nutrition and goals. While I intend to keep my routine going, I am not too good at making goals. I find that they limit where I want to go. Sure, I can start somewhere but I can never know where I will end up. I mean this is a "lifestyle" and that usually doesn't have a goal of three months. No problem, I have made this little book work for me, the non-goal setter. Since I only work out every other day or whenever I damn please, I use one page whenever I do. This will make this little book last me more than the three months it was made to do. That's ok, I'm also thrifty. This is just my personal preference since I am usually good at keeping watch over my nutrition thanks to myfitnesspal app and I am not big on goals, I only need it for keeping track of my progress on the days I do work out. At this time I am working on improving my running endurance and I've gone from running a mile in 18 minutes to 12 minutes! YAS! I am proud of my small achievements. However you may use it, three months or for however long I make it last, it can be customized for whatever area of your life you need help, reminders and encouragement in. It's small so it's easy to carry around. There are no exercise examples, just some food journaling examples which I enjoyed reading. Overall I recommend this little journal for the only reason that I use it. Since it's a bit on the pricey side, around 20 bucks, I would like it to last more than three months. I have customized it for my lifestyle and workout routine and it's working fine. Yes, I have an iPhone app that helps me track my health progress but there's nothing like the power of the written word.